We have made it extremely easy for you to rent the Portable Professional Areton HIFU TOO! Only £260 including VAT per month! 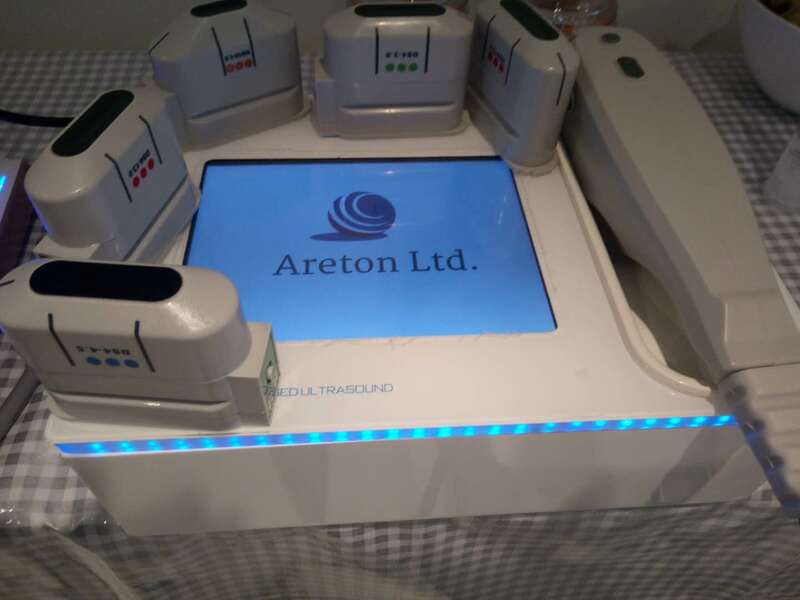 If you are a Limited company or a trader in the UK, you can now rent the Portable Professional Areton HIFU device instead of buying it outright. This is the perfect solution if you want to trial the device without committing to high capital expenditure. You can have this Device for only £260 including VAT! One free 5000 Shots cartridge of your choice every 6 months. So you do not have to worry about buying the extra cartridges after you have exhausted the total number of shots. Usually, this is sufficient for the demand of most clinics and no extra cartridges are required. If you buy these units then you will have to buy the extra cartridges every time they will run out of shots. Click on the button below your order for this HIFU device rental. The minimum term is 4 months. Please first make the payment for 4 months rental (£260 x 4 Months=) £1,040 Including VAT. The monthly ongoing payments will only kick in after the first 4 months. If you want to return the unit after 4 months rental, this roll in payment set up will be cancelled. Please click on this link to subscribe to the £260 monthly payment and pay for the 4 months minimum rental period. The subscription will end as soon as we receive your unit back after the minimum 4 month rental. Once you made the payment, please allow at least 4 weeks to receive your set. If you are hiring the device for a particular event or job, please make sure you hire the device well in advance to make sure you have your complete set on time. Minimum Rental term 4 months. Subsequent monthly payments £260 INCLUDING VAT. No commitments after the first 4 months’ rental. Roll in the contract (pay as you go). The rental payments do not contribute t0wards the purchase of the unit. If you have any question please do not hesitate to contact us. 0.2 Jules to 2 Jules Incremental 0.2 Jules steps.